The Blue Lagoon is a man-made tourist haven that is actually worth visiting. Built in the shadow of a geothermal power plant, the Lagoon is carved into black volcanic rock creating a magical world of pearl blue water. The mud, famed for its health benefit gently coats the bottom of the lagoon making it easy to walk around. Recent expansions leaves plenty of room for each visitor. Best time to visit – Winter time at night. 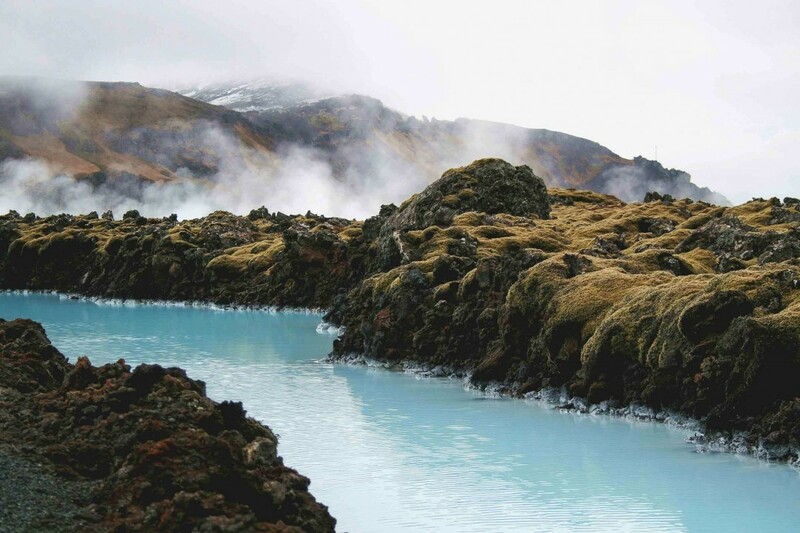 The steaming and glowing water is paired perfect with the alien landscape that surrounds.